A study of rats shows that when a mother experiences some form of trauma even before her pregnancy begins, it will still influence her offspring's behavior. For the first time, a study of rats has shown that when a mother experiences some form of trauma even before her pregnancy begins, it will still influence her offspring&apos;s behavior. And there are strong implications for humans, especially mothers who have experienced the effects of war, natural disasters or social upheaval. 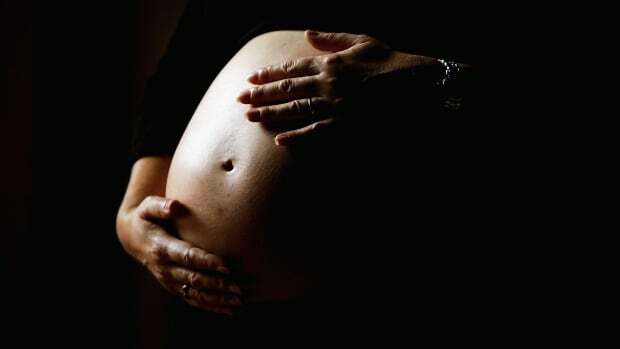 "The findings show that trauma from a mother&apos;s past, which does not directly impact her pregnancy, will affect her offspring&apos;s emotional and social behavior. We should consider whether such effects occur in humans, too," said study author Micah Leshem of the University of Haifa, in a press release announcing the study. The results are published in the journal Developmental Psychology, and build on previous research that has explored the effects of trauma that a mother experiences during the course of her pregnancy. Until now, however, pre-conception adversity had not been examined. The researchers — including Leshem and Alice Shachar-Dadon, also of the University of Haifa, and Jay Schulkin of the Georgetown University School of Medicine — chose to investigate rats because they are social mammals whose brains behave similarly to humans. One group of rats was put through a series of stress-inducing tests two weeks before mating, giving the female time to recover before she got pregnant; the second group was similarly treated over the course of a week prior to mating; and the third, a control group, experienced no adversity at all. When the rats&apos; offspring reached maturity (at 60 days), the researchers examined their emotional behavior, including anxiety and depression, and social behavior. The researchers found that the offspring of stressed mothers exhibited less social contact, interacting infrequently with each other, compared with that of the control mothers&apos; offspring. There were also important differences in behavior related to gender. The female rats showed more symptoms of anxiety, while the males exhibited less. And the rats whose mothers became pregnant immediately after being stressed were the most hyperactive, indicating that the time period in which adversity is experienced, relative to conception, is also important. "Everyone knows that smoking harms the fetus and therefore a mother must not smoke during pregnancy," Leshem said. "The findings of the present study show that adversity from a mother&apos;s past, even well before her pregnancy, does affect her offspring, even when they are adult. We should be prepared for analogous effects in humans: For example, in children born to mothers who may have been exposed to war well before becoming pregnant." A new study in the Journal of Physiology says that a mother's diet has profound impacts on the health of her baby. Adam Watkins and his colleagues have shown that, even as the egg first leaves the ovary and starts to mature, nutritional deficiencies in the mother can significantly affect it. You're Pregnant. What Do You Know About the Meds? Testing prescription drugs on pregnant women is controversial. It's also utterly necessary if we care about the health of both mother and child. Is a Mother's Weight Programmed Into Her Kids? Apparently, you are what your mouse mother ate.